Memos written by the former F.B.I. director, James B. Comey, that were released on Thursday revealed several new details about his relationship with President Trump and the president’s first chief of staff, Reince Priebus. Comey depicts President Trump as a man engrossed to the point of distraction with political rivalries and fears that bureaucrats and government officials, including in the F.B.I., were trying to undermine his legitimacy. 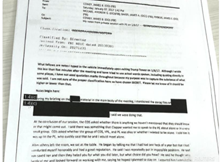 The president responded by insisting that the memos showed no collusion with Moscow’s election interference and that Mr. Comey had erred by leaking classified information. The memos were reviewed by Justice Department officials before being released. John Oliver calls the House investigation and persecution "Stupid Watergate". It's easy to see why. Such incompetence should not be rewarded. Trump told Comey he may need to jail reporters to catch leakers and mentioned Judith Miller, jailed for 85 days after declining to name Scooter Libby as her source....In this "case" the Comey memos were they made public by DoJ simultaneously with being sent to Congress...True stories never have endings. What exactly were House Republicans hoping to accomplish by demanding the full release of these memos? Nothing I’ve read seems to change Comey’s story and if anything, these memos give one more view to the dossier. Remind, 1 hr after Comey’s memos given to Congress they were leaked to the press. Question I've not seen asked about Comey's memos: when were the electronic versions of his memos to file created? He told the Senate he no longer had any copies to provide Congress, which is a weird thing to say about something created on a computer..